All visitors are very welcome. Just turn up on our play days and receive a very warm welcome. We hold Golf croquet social tournaments in May and October. Tuesday 9.15 am to 12.30pm for golf croquet. Friday 9.15am to 12.30pm for golf croquet. Wednesday & Saturday 1.30pm to 4.30pm for association and/or golf croquet. Golf croquet is played Wednesday evenings during daylight savings time. Contact Club for details. You are invited to come and try croquet. You can have free, no obligation, sessions to help you decide whether croquet is for you. We are a friendly club and welcome all people regardless of their croquet skills. We are very happy to help newcomers learn the basic skills required. Just come along on play days in flat shoes and be prepared to have fun. Corporate, school or group bookings welcome. 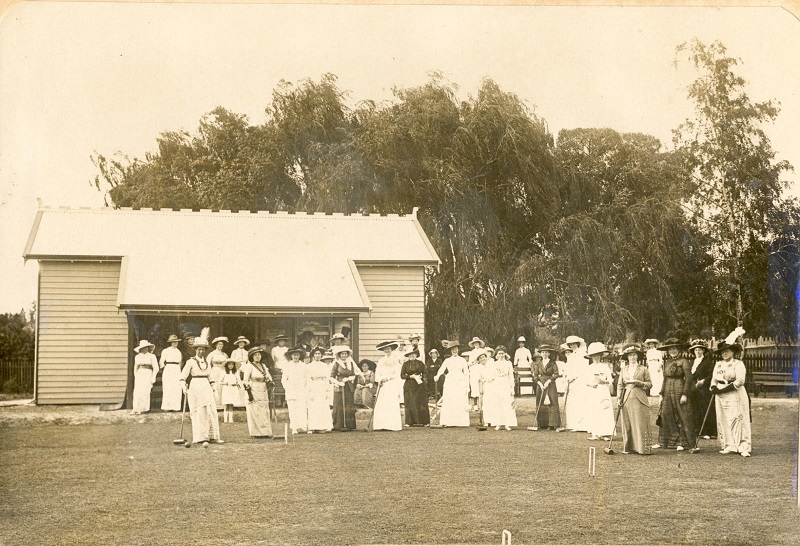 The Ballarat Western Croquet Club began in 1904 with games being played on private lawns. The current clubrooms and lawns were opened on 6th December 1913.